Stylish and sophisticated, find your perfect upscale residence in these listings of Luxury homes for sale in Chapel Hill. For many years, Chapel Hill has been the go-to area in the Triangle area for upscale homes and lavish neighborhoods. This area offers a great selection of luxury home options, with plenty of styles and sizes to choose from, whether you're looking for something ultra modern or a little more classical, a massive floorplan or a sprawling acreage. What's even better about luxury communities in Chapel Hill is that they're located all over the city, not just in the quiet remote suburbs. With excellent convenience to Research Triangle Park and the University of North Carolina at Chapel Hill, find your perfect upscale abode in the listings below. View all of the currently listings below or keep reading to learn more about the Chapel Hill luxury real estate market. 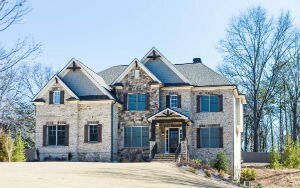 Chapel Hill's luxury real estate market offers a great variety of well-appointed homes, from multi-million dollar designer homes to custom builds in the countryside. In many communities, the homes are the crown jewels of their respective neighborhoods, showcasing elaborate finishes and immense square-footage that begs the attention of passersby. These exquisite homes will often feature top-of-the-line elements like large entry ways, massive kitchens, master craftsmanship throughout, wainscotting and molding, awe-inspiring bathrooms, plenty of bedrooms for guests, and a custom pool with cabana in the backyard. Surrounded by the thick, quiet woodlands of Chapel Hill, these luxury homes offer everything you need to enjoy a quality lifestyle. 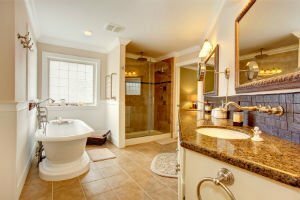 However, if you demand a little more privacy in your luxury home, you'll find in in the quiet streets outside of the city, where one-of-a-kind custom homes pepper the landscape. To find out more about luxury homes in Chapel Hill get in touch with the My NC Homes team online or by phone at 919-659-5173. With over 30 years of real estate experience, we can help you find the home of your dreams in the Triangle area.